All this month, we’ve been talking about remote working as it relates to recruiting, training, and retaining remote workers. We started out by tackling how to recruit remote workers for people who may be new to it. Then we discussed how to train, hold accountable, and retain remote workers. In the final episode for this month, we’re going to address a big concern that often holds people back from recruiting and managing a remote team: the nature of the work that needs to be done. Most hiring managers we talk to are OK with hiring a virtual assistant to handle day-to-day tasks. But when it comes to a mission-critical project like launching a startup or handling very important clients or customers, going remote seems too risky, and people opt for hiring an onsite team. In today’s episode, we’ll talk about why it boils to down changing your process depending on the nature of work your remote workers are doing. 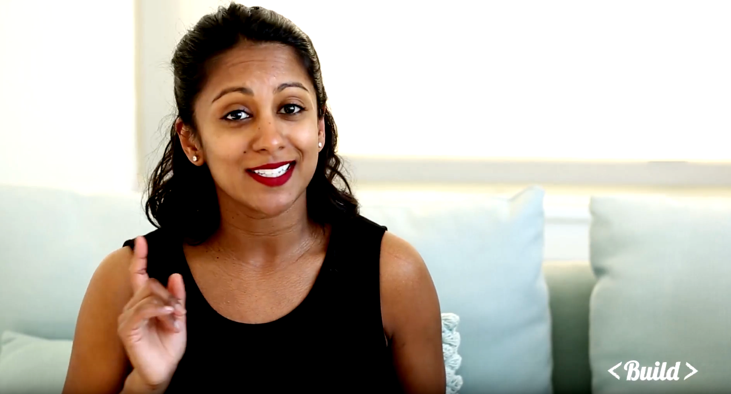 Poornima Vijayashanker: In the last two episodes of Build, we shared a lot of the benefits of remote working. We also shared some best practices when it comes to recruiting and retaining employees and the processes you want to put in place to keep everybody productive. In today’s episode we’re going to share how these processes will change depending on the nature of work so stay tuned. Welcome to Build, brought to you by Pivotal Tracker. I’m your host Poornima Vijayashanker. 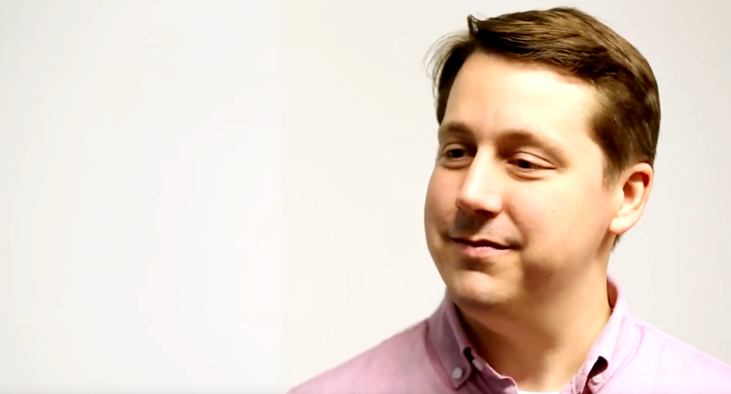 In each episode of Build, innovators and I debunk a number of myths and misconceptions related to building products, companies, and your career in tech. 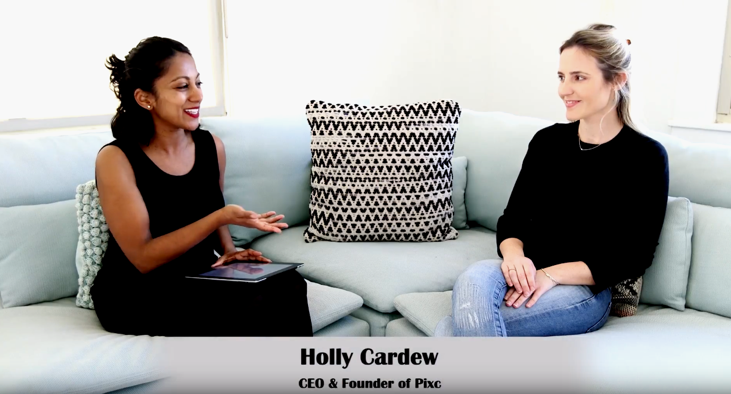 We’re continuing our conversation with Holly Cardew who is the CEO and founder of Pixc on remote working. Thanks for joining us Holly. Holly Cardew: Good to see you again. Poornima Vijayashanker: Yeah. Every episode of Build is inspired by amazing audience members like you, sharing your experiences and asking insightful questions. Today’s episode is also inspired by an audience member, Kai. I want to start by reading an email that Kai sent me because I think it could help many of you who are out there. This is a great question Kai, and Holly and I are going to tackle it. So, if you’re watching this episode, thank you for writing in. OK Holly, let’s start with Kai’s first question, which is, what are the trade offs when it comes to these mission critical tasks versus sort of the day to day? Holly Cardew: I think mission critical tasks, you really need to understand what needs to be done and stick to that goal and that time zone. Also, understand that other people, aren’t maybe in different time zones and you may need to stay up a bit late or go to bed, you know, I mean may not go to bed till 5 am. Whereas day to day tasks, it doesn’t really matter when they happen in the week. For us, what we’ve really done is we’ve kept all our tech and product in Europe. So they’re not in the same location, but they are in a similar time zone, so the time difference is really 4-5 hours, five hours max. Which allows everybody to communicate, but I think it can be beneficial, again to have somebody in another location in case there is a customer issue with the technology side. Poornima Vijayashanker: Yeah. So what we did early on was actually break this up into asynchronism, what we like to call sort of those day to day tasks that people can do whenever they have availability, and then synchronism, where it’s like you said, something that’s customer facing, something that’s critical, or something that requires a lot of coordination and figuring out that 3-5 hour time difference where everyone’s kind of, be in the same day versus you have a problem, someone’s asleep, you don’t necessarily want to wake them up, right? If it’s a customer facing issue than it can be a challenge, but I also like what you said about having people in different time zones in case it’s a customer issue and then you’ve got more hands to kind of help out over the various time zones. Poornima Vijayashanker: Do you have any, do you have a specific example you’d like to share with us? Holly Cardew: So as I mentioned, we definitely have taken product in Europe. We do have a project manager in the Philippines but that’s OK because she understands that the rest of them are in that time zone, so she will work with that time zone. For our content and marketing, it’s kind of, Europe but Western Europe and then flows over into America. That works absolutely fine. There’s about, maximum there’s eight hours difference, with social media included but they don’t mind that because they’ve just set a time, each week to get the tasks done, but as you said, it’s tasks that sort of come and flow. You don’t need to do it at a certain time, it’s not critical that you know, our social media post went up one hour difference, doesn’t make that much difference to us as a B to B software company, but I think for customers, so customer service is really important because customers can not wait 12 hours. They can’t wait eight, they need a response within 20 minutes. Poornima Vijayashanker: Yeah. Now I will say that even aside from the time zones, another thing that I’ve found helpful is when you’re kicking off a project, or you do feel like it’s something really mission critical, it can be helpful to have people at the start of the project, all working together. Early on I will do either a retreat or maybe coordinate with some subset of the team, do you do anything like that at Pixc? Holly Cardew: We haven’t yet. We’ve actually, we’re talking at the moment about having our first meet up. Somewhere in Asia, so sent out a Google form with potential dates of what would work, but I think it would be really valuable for people. If you are located closely together, what we will do is try to meet up at conferences. Holly Cardew: Or, you know other events, or you know if I’m traveling to Indonesia I’ll try and meet up with a team member, but for us we haven’t yet done the in person thing yet. Poornima Vijayashanker: Yeah. I think it’s also good that you said you meet up with your employees, right. So, even if it’s just a one on one or kind of a smaller group getting together that can be really valuable. Holly Cardew: Yeah, I’ve also said to them, like give them a budget to travel too. So if there’s a lot of them in Asia, it’s quite cheap to travel within Asia, so they could meet up for a dinner or lunch. Holly Cardew: So it doesn’t necessarily mean it’s just for the project, it’s again, links back to the culture, because if you create a good culture and they have a social gathering together, then when they do go away they sort of understand each other a bit more. Poornima Vijayashanker: Right and it stills helps to kind of elongate that process and they feel like they’re part of team and not just somebody working somewhere in some part of the world. Poornima Vijayashanker: Wonderful. Any final words of wisdom for our audience out there when it comes to recruiting remote talent and retaining them? 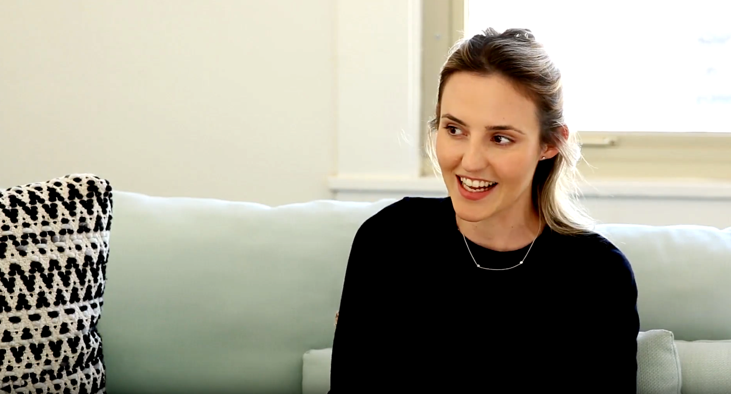 Holly Cardew: I think when I speak to people and they’re like I’ve never hired someone remote, what should I do? I think the first step is having a virtual assistant for yourself. So those tasks that you do every single day, that you could pass to someone else, just try it. Have someone 10 hours a week, or even five hours a week so it’s one day a week, doing some of those tasks and you’ll soon build a culture that works for them. The other thing is I would really think about them as not outsourcing or part of someone else’s company. I stick with hiring individuals and not agency’s or outsourcing companies. Then I send them birthday cakes and cards just because it makes them feel included in the bigger vision and bigger company and picture rather than just doing a task at hand. Poornima Vijayashanker: Oh yeah, they’re definitely contributing to the overall company so that’s good. That’s good that you recognize them. Well these are all great tips Holly. Thank you so much for joining us. Poornima Vijayashanker: That’s it for this week’s episode of Build. Be sure to share this with your friends, your teammates and your boss, if you are thinking about putting in place a remote working culture. Be sure to subscribe to our YouTube channel to receive the next episode. Ciao for now!